Majesteas- Website up and running! After a lot of hard work from my good friends at Majesteas, it is finally up and running. Great timing too since Robert Gignac is off to China with Tao of Tao Tea Leaf latter this week. 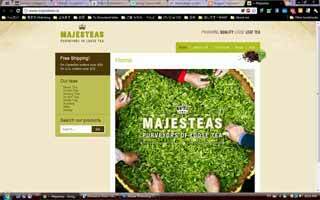 He has even started off the blog with an entry detailing information about various teas he will get to try. I wish him well on his trip and a safe return with teas to try.